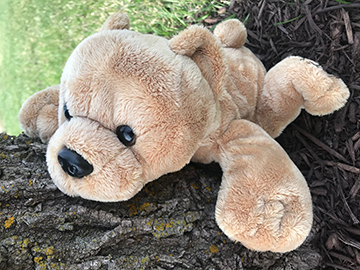 These cute cuddly "Zoo Buds" have indestructible solar-powered audio players that come loaded with fun stories and songs for children ages 4 to 9. Each animal has a different set of stories and songs, depending on the age of the child. 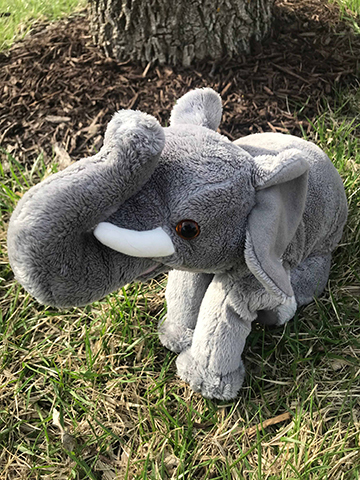 If you have a blind child in your family or know of one who would enjoy cuddling up with their own Zoo Bud then send us an email to info@christianrecord.org or give us a call at 888.213.0003. The scholarships are awarded to undergraduate college students who meet certain criteria. The application process begins in early winter and the winners are generally announced by summer. Request free services, access to the online library with more than 2,000 titles, Bibles and much more! If you've wanted to know more about the story of Jesus and His life then reading the Bible is a great place to start. We can get you started and guide you through with an assortment of lessons for all ages. 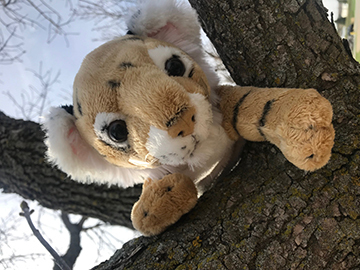 This is a fun annual community event that takes place in Lincoln, Nebraska, and across the nation "virtually". People of all ages and athletic skill get together and either run or walk in solidarity for eye health and friendship. If you are blind, you can request a voucher to participate in the event as our guest. Here are some of the resources you’ll find in Lib.Guide, a service that is provided without cost to the blind: audio players for veterans and children, Bibles, Lessons & More, full vision books for parents and children, more than 2,000 engaging and inspiring books including the most recent releases, plus the following list of magazines. In continuous publication since 1899, Christian Record is a braille inspirational magazine that seeks to make Christianity practical in everyday issues such as relationships, health, and money management. Published quarterly, the Christian Record is available in braille magazine format or can be downloaded for refreshable braille format readers. Articles and interviews exploring a Christ-centered approach to a variety of topics while seeking to make Bible knowledge practical and relevant, with a focus on living well in this present life and for eternity. Each issue also includes a sermon recorded live from a variety of churches. This magazine is produced quarterly. is created for readers who are legally blind and who are eager for good, current writing from a Christian perspective. Those who are legally blind qualify to receive the ink-on-paper version free of charge. For everyone else, Light is available right here. No login is required to enjoy all the content of the magazine. Current and past issues of the magazine are accessed by clicking on the magazine name above. features interviews and inspirational articles on a wide range of subjects, including health and fitness, nature, travel, music and the arts, and stories of personal accomplishments while seeking to discover Bible-centered spiritual connections among the many experiences of life. This magazine is produced quarterly. Become a member today and get started finding and enjoying the many resources we have for you! We cover the cost for room and board for the blind, so that you can enjoy a fun get away from the everyday hassles of life for one week out of the year in a beautiful summer camp setting with friends. We produce several Christian magazines and accept articles for publication. This page provides information about which magazines are currently accepting submissions and the requirements for each. Have a question or need to speak with someone? This link is for you! The legal definition of blindness is "visual acuity of not greater than 20/200 in the better eye with correction or a field not subtending an angle greater than 20 degrees." However, in a special issue on Low Vision and Blindness in 2005, Kenneth Jernigan wrote a wonderful piece titled "A Definition of Blindness" [click on the title to read the article] for the National Federation of the Blind.